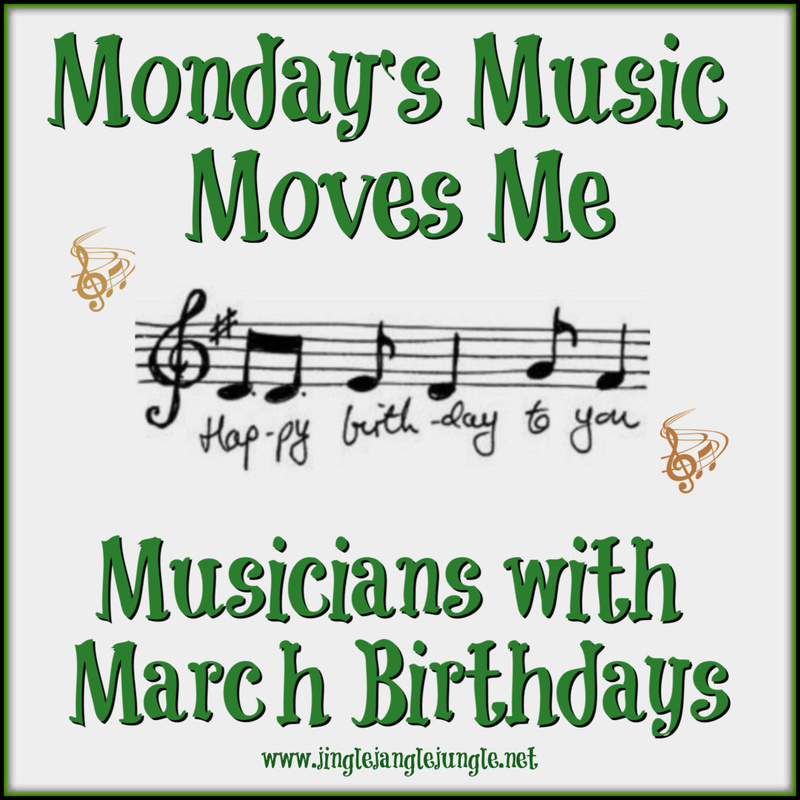 Today we are celebrating musicians who have a birthday during the month of March. While I was doing my research, I discovered there are quite a few musicians that were born in March. I did my best to whittle down the list (not that I don’t think everyone should be recognized, it’s just I think you guys might want to have time to visit other participants). Let’s get this party started so we can move on to the cake and presents! Happy Birthday to these talented individuals! That's a lot of music you have assembled for today. There are a multitude of multi-platinum artists on this list. 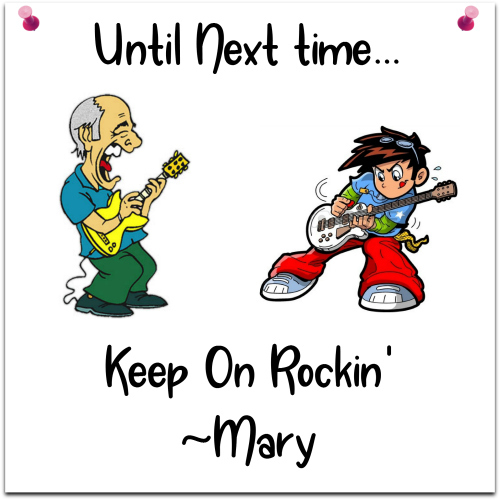 Bon Jovi, James Taylor, Eddie Money and the incomparable Eric Clapton are among my favorites. 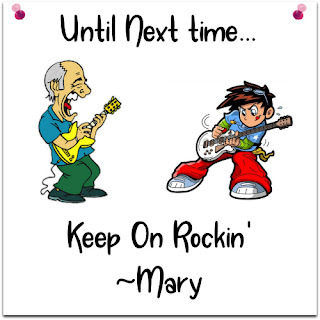 Rock On!!! So many great artists born in this month. I started with a list of over 30, and it was hard to narrow it down to a manageable size. Love, love, love Bon Jovi. All I can think of is those tight leather pants! This is some kind of a record or something: You put 15 artists on your list, I put 14, and we didn't repeat any between us! The Smashing Pumpkins (Billy Corgan's band) started at Loyola University Chicago, my alma mater. Great set! John, I'm not surprised. There really are quite a few born this month. I was sure there would be some overlap of artist, but so far I haven't come across any using the same song. This is the mark of a great theme! Very nice list. What a great range of artists. Very cool. Great theme selection. I was really surprised at how many there were/are. I listened to your entire playlist this morning while I did some much needed catching up in Blogosphere. I enjoyed all all of your song picks. Thanks for sharing the dance floor with the 4M gang. 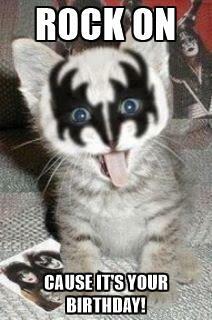 Have a boogietastic week, dearie! Glad that you enjoyed it. So many tasks on the 'sphere this morning. It's just a crazy time of year. The video for Jeff Ament is for his solo work. I neglected to include a pretty cool thing about Jeff. I know you're not much into Pearl Jam, but this is pretty cool. So Jeff grew up in a small town in Montana (and by small, I mean... dont blink or you will miss it!) population 700 small. The nearest hospital for that town is about 40 miles away. He was born in that hospital. Just over Two years after he was born - I made my appearance here on earth. The difference was this. I lived in that VERY SAME small town. My mother didn't make it to the hospital - I ended up being born at the clinic in our tiny town - but I did spend my first night alive at the very same hospital where Jeff was born. And had my parents not moved a few months after I was born, I would have grown up with Jeff and his siblings. There were so many artists to choose from that it was hard to pick a couple. I just read your story about Jeff Ament. My bestie followed Pearl Jam while I was following REM and did their fanzine. Thanks for the tunes. That is so cool! I think a fanzine would be a lot of fun.